A graphic and AI update of the beloved NC oval from back in NASCAR's Winston glory days! 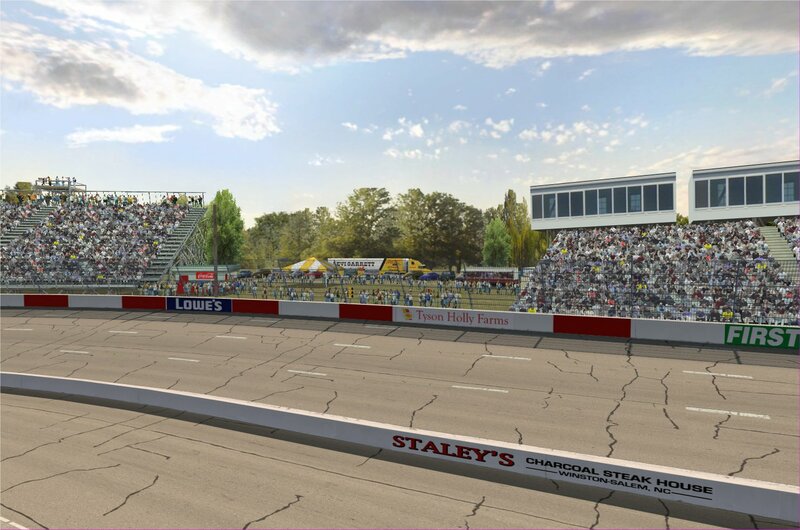 It is not surprising just how much love there still remains for the famed and revered North Wilkesboro Speedway. After all, it represents everything we have ever loved about racing and the very reason that got us all hooked on this great sport in the first place.... its awesome door bangin', fender rubbin' short track excitement. 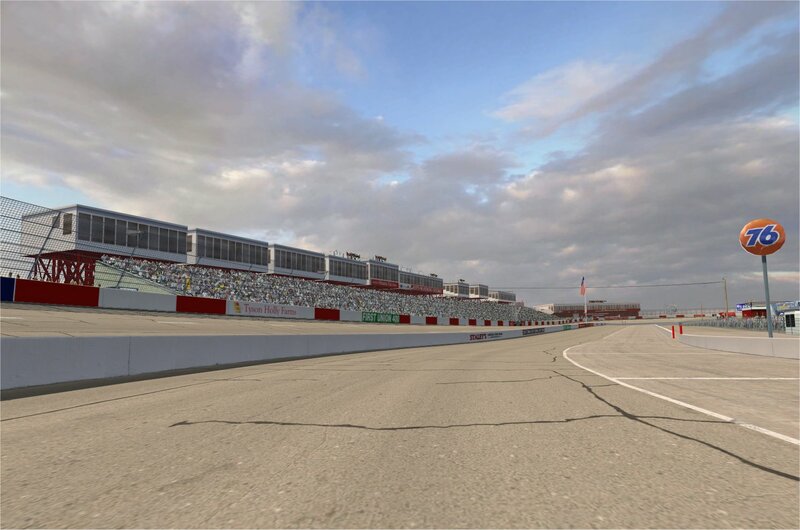 Unfortunately, North Wilkesboro Speedway has fallen into severe disrepair and deterioration since it's closure after the 1996 races. So much so that it will NEVER come back to life again. But now, it will be revived forever on your PC’s in all of its 1990’s WINSTON racing glory! I have been reading with great interest over the years all of the enthusiasm in the forums about NWS and have decided to release our PST retro "Winston" update of the "wilkessrc_06" track originally created by a group of track editors from the former Sim Racing Connection site including: Justin9, steveb73, sticky22, raybee1970, BOWTIE and myself. - Added newly modeled Turn 4 tower custom made by Wayne Anderson. - Added newly modeled flagstand custom made by Wayne Anderson. - Added new backstretch tower custom made by Wayne Anderson. - Enhanced main towers with dynamic lighting effect. - Added red supports and under-shading to frontstretch towers. - Added TV camera men to TV towers on top of main towers. - Added spotters on top of main towers. - Added dynamic lighting to various other buildings and objects. - Higher resolution graphics, lettering and Winston Cup logos to Main towers. 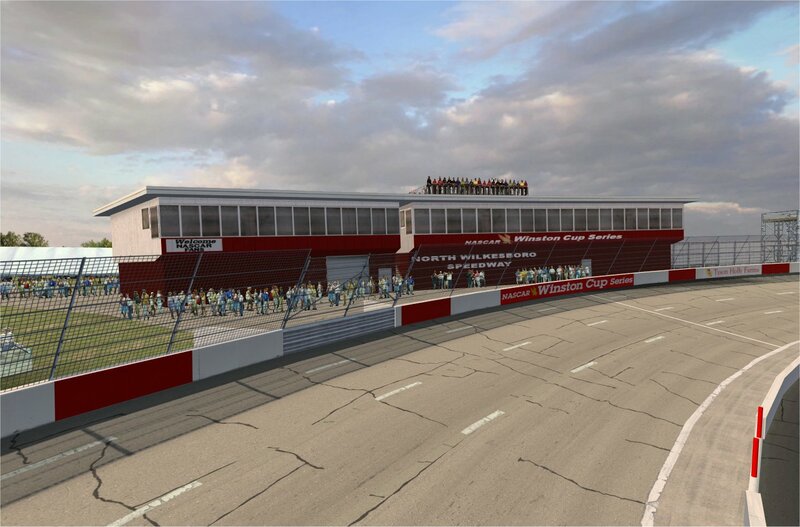 - Added seatback objects on frontstretch grandstands. - Replaced 3d crowd objects with newer of correct size and increased density. 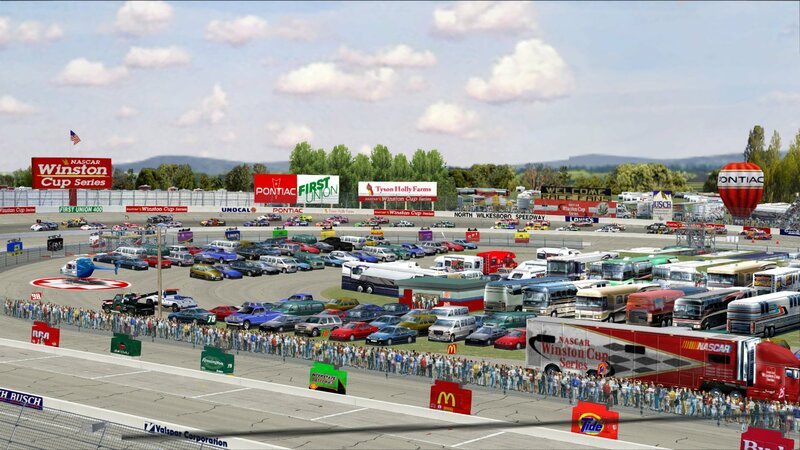 - Removed all perimeter tower lights as the North Wilkesboro track did not have them in the 1990's. - Updated all billboards with higher resolution graphics. - Added proper catch fence and wall shading around the track. - Added the proper "lean-in" of the catch fence around the track. - Changed texture of catch fence to match real track. - Added "crossover" gates and textures. - Added PA speakers atop catch fence around track. - Replaced flags with the new SDT/PST animated waving flag objects by Ian Smythe. - Added correct turn 3 bleachers. 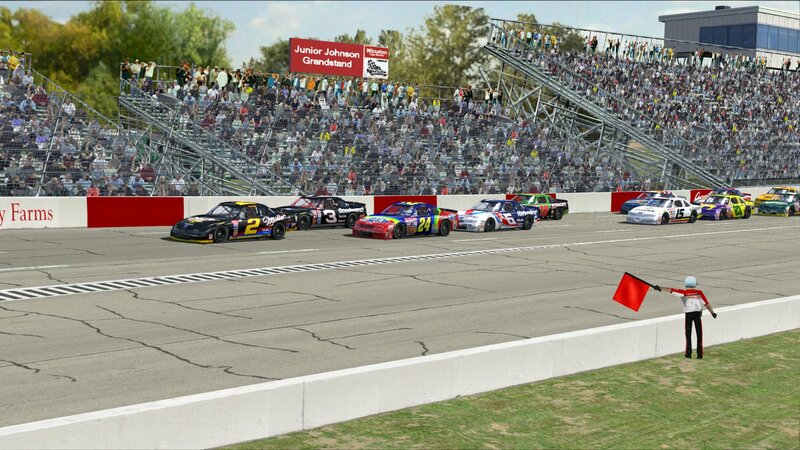 - Added "Junior Johnson Grandstand" sign to top of turn 3 bleachers. - Period correct wall graphics by Thunder98. - Added proper ground, fence and wall shading and shadow effects. - Added grass-to-asphalt transition textures. - Replaced asphalt texture to older "worn" asphalt texture. 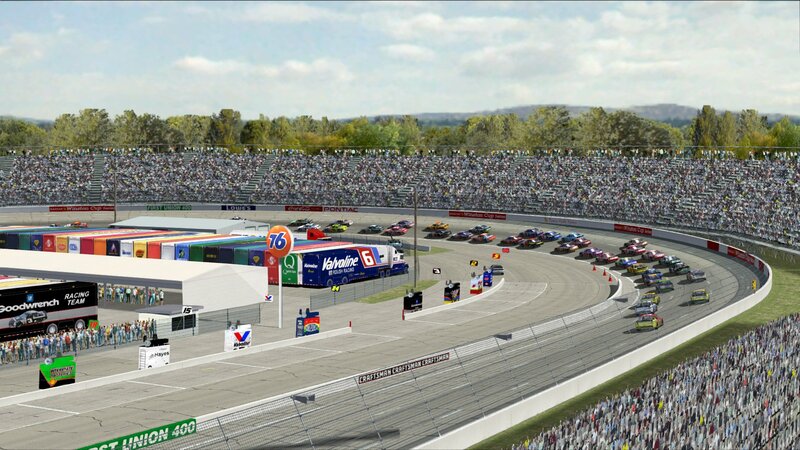 - Re-populated infield and areas around outside of track with race weekend objects. - Added period correct Winston Cup and Race team haulers. - Corrected positioning of several "floating" and "sunken" objects. - Added miscellaneous immersion objects around the track. - Corrected "merge" penalty issue at exit of pits. - Removed "black ice" surface designations in corners. - New Spectator cam and adjusted TV cams. - New more realistic horizon. - Made extensive changes to CTS, GNS and Cup physics in track.ini. - Included new FAST setups for Cup, GNS, and CTS. - Numerous other additional objects, fixes and changes. Once again, many thanks to all of the guys who worked on this original project back in the old SRC days. This is a project that has been on my To-Do list since the original "wilkessrc_06" was released. 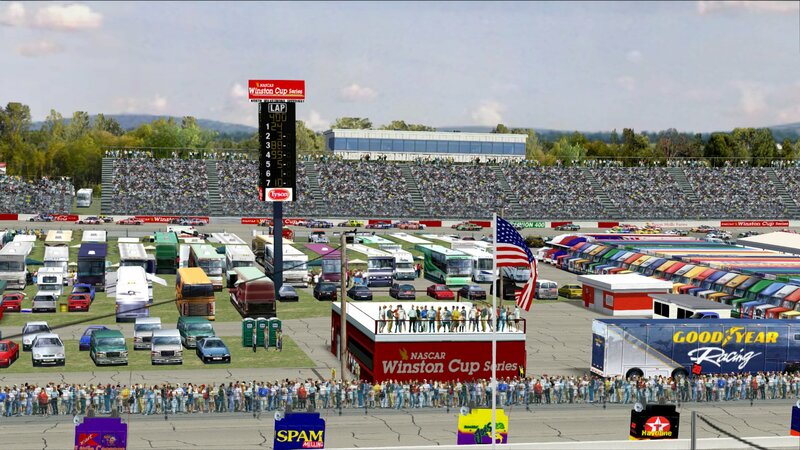 I have always loved North Wilkesboro and working on this retro 1990's Winston graphic and A.I. update reminded me how much fun this track really is. On behalf of all of us on the PST Team, I hope you enjoy these updates as well. 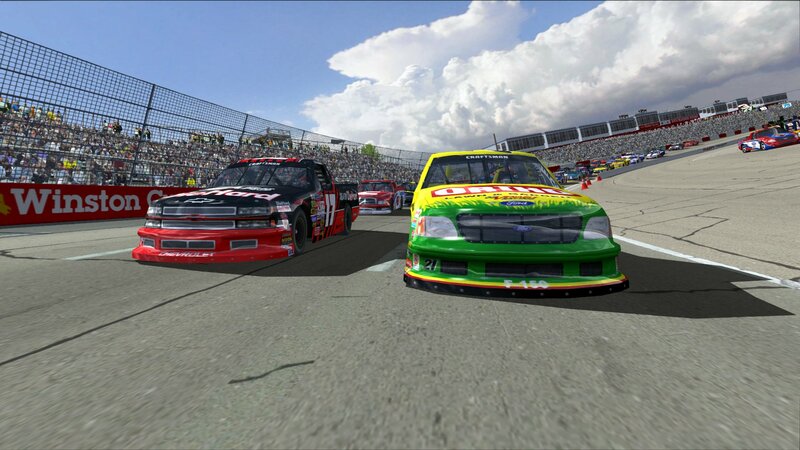 nascarandindy, Chachow88, ShadowKnight508 and 6 others like this.